Shaka Hislop, centre, shares a light moment with two Flying Fish Swim Club members. 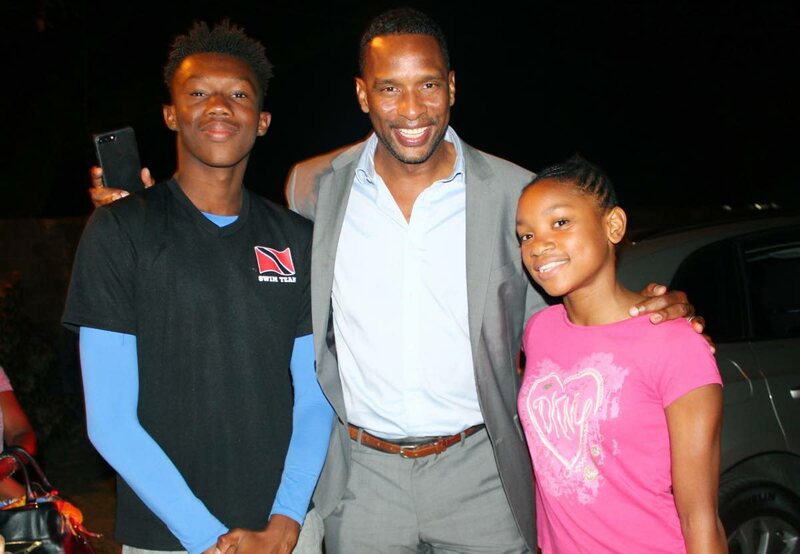 FORMER World Cup hero Shaka Hislop recently visited Flying Fish Swim Club, where he spoke to the competitive swimmers about the importance of dreaming big. Hislop was accompanied by Dr Wayne Frederick, the TT-born president of Howard University, USA. Both men spoke of their strong friendship which began at St Mary’s College in the 1980s. Hislop would go on to make his name in the international arena as a footballer in England, as the goalkeeper for the Soca Warriors at the 2006 World Cup in Germany and as a football analyst for the US-based sports TV Channel, ESPN. Frederick became the youngest board-certified surgeon in US history. Both men are alumni of Howard University, as is Flying Fish head coach and aquatic director Dexter Browne, who arranged their January 30 visit to the club. 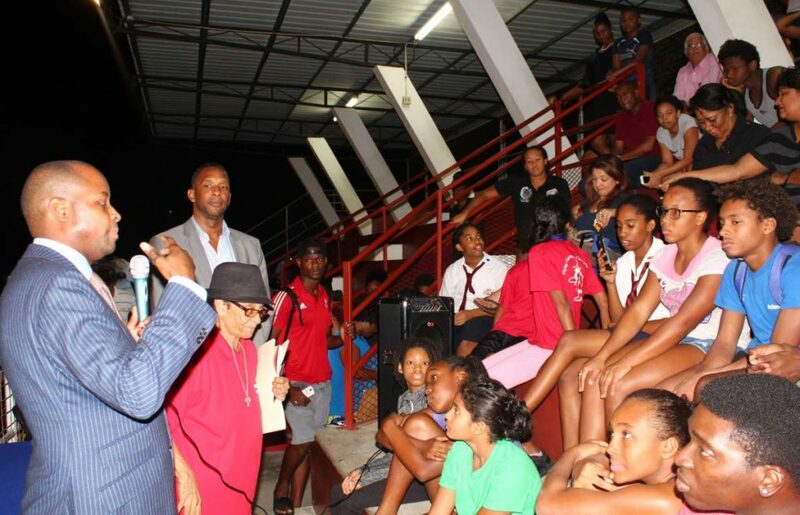 Dr Wayne Fredericks, left, addresses Flying Fish Swim Club swimmers and parents, while Shaka Hislop looks on. Frederick spoke to the swimmers about the debt of gratitude he owes this country and all those who invested in him He said he would always seek to give back. He stressed the importance of following one's passion and focusing on the journey to success, not just the destination. He told the swimmers that while in pursuit of their dreams, they should not lose sight of the importance of empathy, compassion and kindness. Reply to "Hislop urges swimmers to dream elaborately"